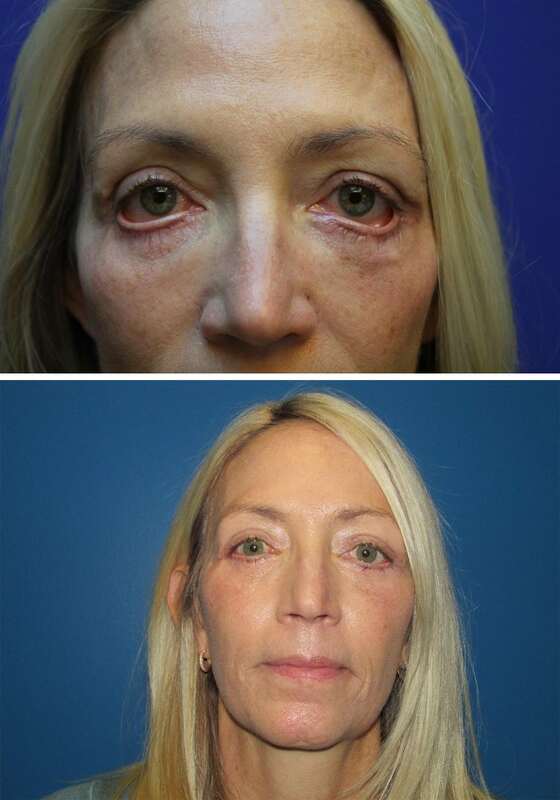 As eyelid experts, our practice frequently takes care of patients who have had cosmetic eyelid or facial surgery elsewhere that either did not meet the patient’s expectations or caused problems with the patient’s face or eyes. 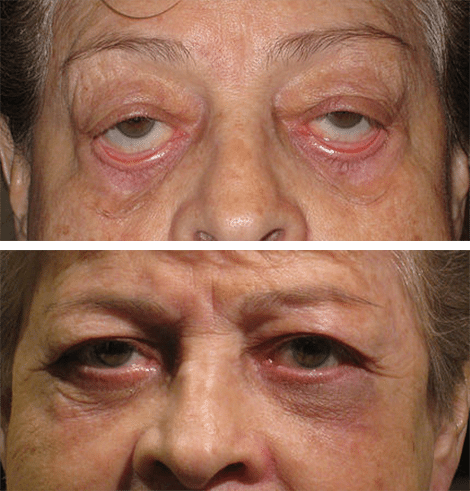 In some cases too much skin or fat was removed in the first surgery, or in others the eyelids have become pulled away from the eyes or do not move correctly. Every situation is unique; however, our physicians have extensive experience repairing or correcting these types of issues. We use the most modern, minimally invasive techniques to work to restore our patients function and aesthetics in these challenging situations. We work hard to listen to each particular patient’s goals as well as understand the issues that have arisen due to prior surgery. We encourage patients to bring photographs of how they looked before and after surgery. We perform a thorough examination of the eyelids, face, and eyes. Because our physicians are not only trained in Ophthalmic Plastic surgery but Ophthalmology as well, they are uniquely qualified to evaluate and perform this type of surgery. We examine the amount of eyelid laxity, the position of the eyelids, the movement of the eyelids, the position of the eyelid crease, and measure any asymmetries that are present. Each patient’s surgical plan is unique and customized to their particular goals and anatomy. In the vast majority of cases, surgery is performed as an outpatient procedure without the need for a hospital stay.